These rectangular red pads comes 5 to a case, and are made to be used wet or dry on 14" x 28" oscillating floor machines like our CleanFreak 14" x 28" oscillating floor buffer. The pad is great for light cleaning of light scuff marks and dirt and will produce a high gloss shine. A great pad for everyday cleaning. It will not dull the shine of your floor over time. 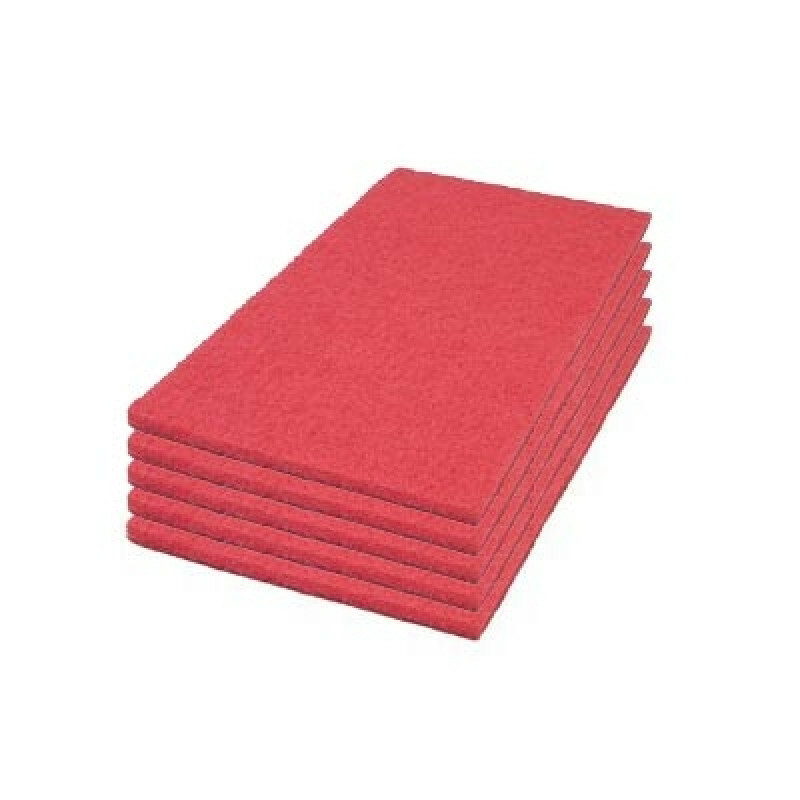 Red rectangulare pads are extremely versatile. They can also be used as a spacer pad to protect your floors when using sanding screens and other thin aggressive stripping pads. A red pad can be used between the actual pad driver and the pad/screen to protect the floor from damage. It works great when used with black or brown floor stripping pad. You can even 2 red pads stacked on top of each other for buffing/cleaning, just to make sure the pad driver never makes contact with the floor. To prolong the life of your pads, we recommend rotating them often. They can become clogged during heavy buffing applications, and should be rinsed out after each use. Each pad can be used on both sides.